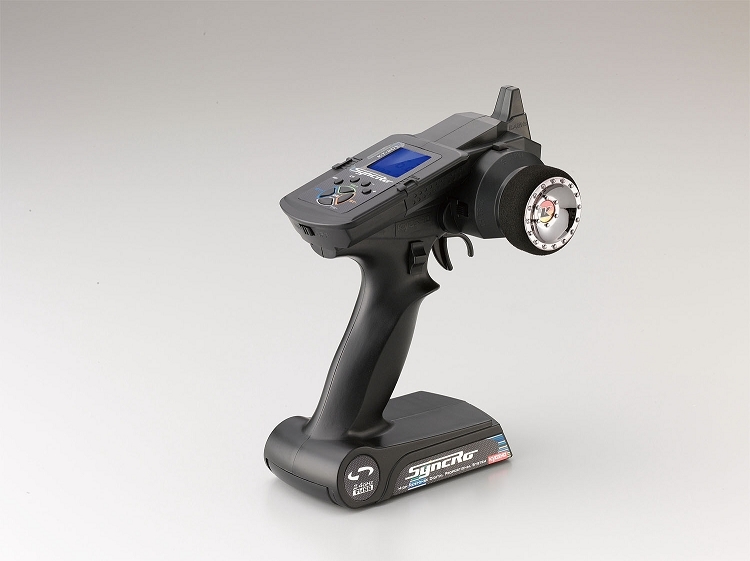 Kyosho's unique 2.4GHz “Syncro KT-201/KR-200” transmitter and receiver incorporates function and designed for easy operation. Simply switch the power ON and the system is ready to use straight away. The stylish form of the transmitter features a built-in antenna and an ergonomic design for comfortable switch positioning and a large, high visibility LCD display. The Syncro is also energy efficient and uses only four AA-size alkaline batteries. 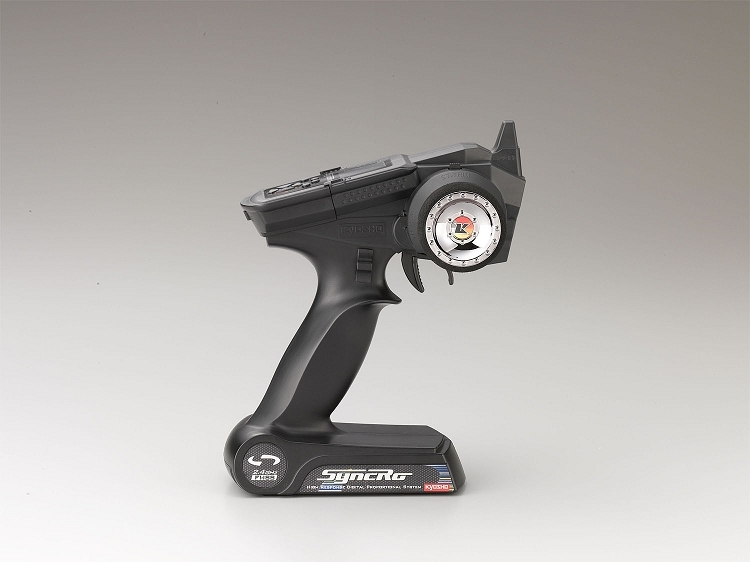 Its precision balance and lightweight are ideal for endurance racing and help maintain concentration without becoming fatigued and also make it easy to activate required functions and settings. From fun-running to the intensity of serious racing, the new generation Syncro 2.4GHz will deliver a greater appreciation of your R/C model's performance. LCD - The large LCD display is equipped with a blue LED backlighting that makes it easy to see even under bright sun light. Easy Access - Function buttons are arranged for optimal accessibility, making setting changes easier on the run during a race. 4 Channel - The KR-200 receiver is a 4-channel model giving you plenty of options for setup. The compact design of the receiver allows plenty of space for installation in tight spaces. Energy-Efficient - The energy-efficient design can operate with just four AA size alkaline batteries. It also reduces cost and provides a weight advantage for endurance racing. Additional Steering Function - Endpoint adjustment (EPA) left & right 120% / dual rate / electric trim. 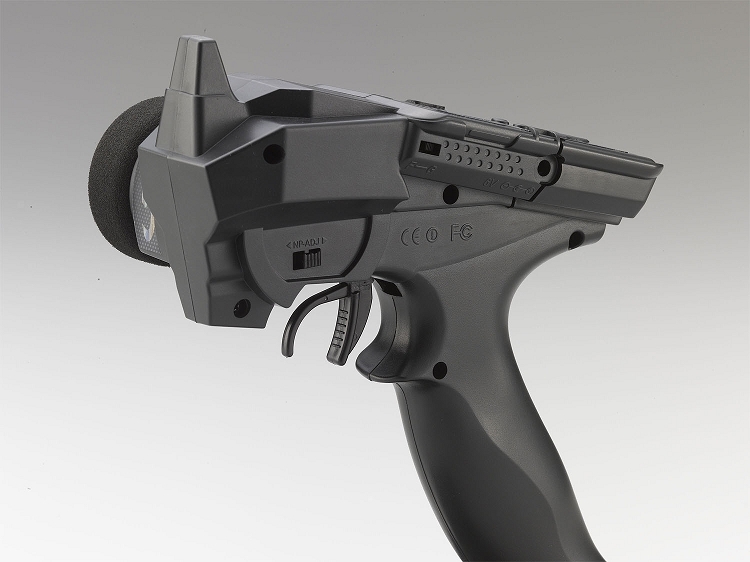 Additional Throttle Function - Endpoint adjustment (EPA) forward & brake 120% / ABS On & Off / dual rate / trigger neutral position adjustment / electric trim. 3rd Channel Function - 3-position switch / 0-120% offset for each position. Model Memory - Model memory for 15 cars including model names. Charging Jack - The transmitter is equipped with a charging jack plug*. 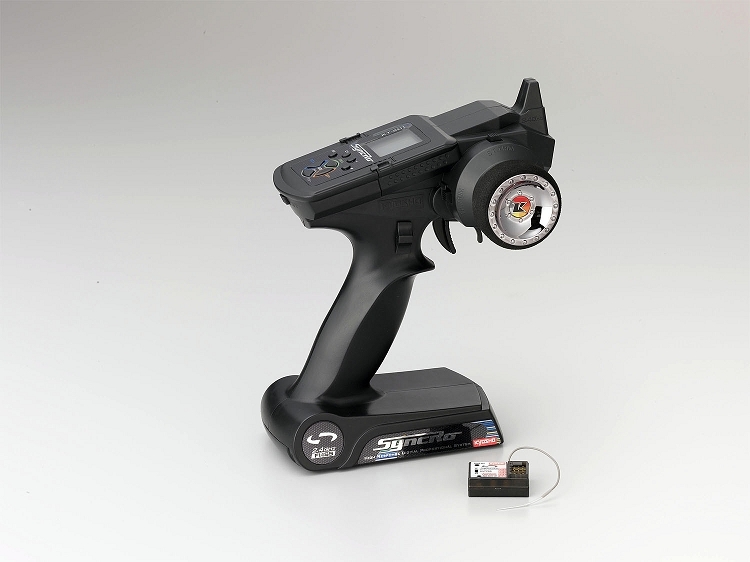 Note: Compatible with all RC vehicles using a 2ch or 3ch system! Will not work with Mini Z or dNaNo 2.4GHz.